myCLOUD tab is used in case that you need to connect your myPRO device to myCLOUD service. 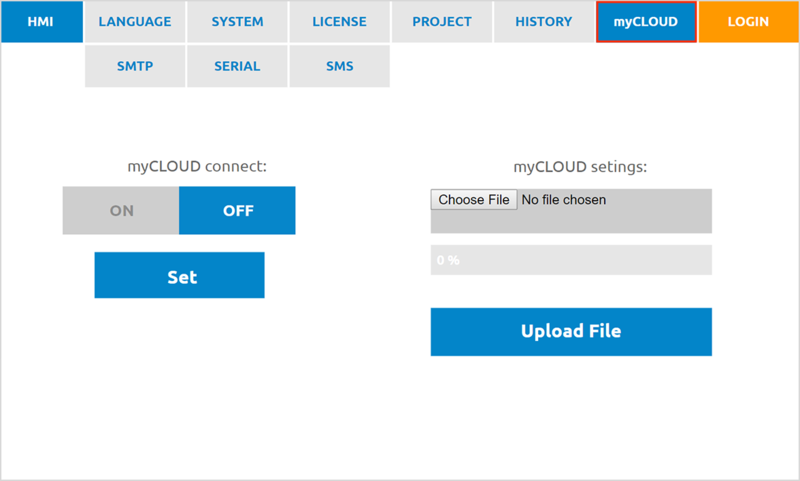 For setting up myCLOUD, we need to upload file which was generated before by myCLOUD service. We will click to “Choose File” and download file into myPRO device. Then, after turning on myCLOUD service, will myCLOUD inside system setting indicator turn green from red, which will indicates the successful connection to myCLOUD service.